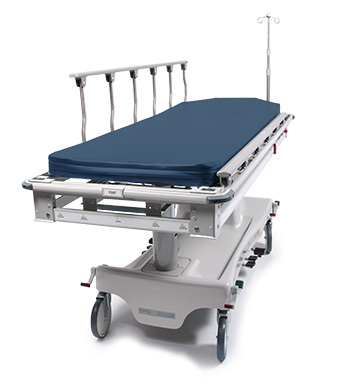 Cassette can be loaded from either side of gurney. Even in Fowler position! Radiolucent Comfort Mattress: 3” Thick / Latex Free Cover in NEW Navy Blue Color! #CRH-IV IV Pole - Telescoping, Removeable 42"